After having read Molly Bloom’s autobiography, I was excited to see the public premiere of “Molly’s Game” on Christmas Day. Since “Rounders” hit the big screens in 1998, there haven’t been any good poker flicks. But for some reason this movie gave me hope. With legendary screenwriter Aaron Sorkin (“The Social Network,” “A Few Good Men”) making his long-awaited directorial debut, and a star-studded cast that included Jessica Chastain, Kevin Costner, and Michael Cera, I had high expectations. In this movie based on a true story, Molly Bloom (Jessica Chastain) is a former world-class skier who gave up athletic competitions after an injury and moved from Colorado to California, where she found work as a cocktail waitress. Like so many Hollywood dreams that begin in a bar, she was soon discovered by a man who ran an underground high-stakes poker game for wealthy businessmen and celebrities. He was looking to hire a hostess. As the “Poker Princess,” Molly began making thousands of dollars in tips, but suddenly was (unfairly) fired. Instead of looking for a new job, however, she stuck it to her old boss and began hosting her own game with the same celebrity players, before moving the game to New York. Bloom kept her game rake-free for more than two years, and made millions off of just tips. But she eventually made the mistake of charging a rake, which made the game illegal, and it cost her dearly. She ended up losing everything: her reputation, her money, and nearly her freedom, when the feds came knocking. The storyline was in tact from what I remember from the book I read two years ago. It’s definitely an interesting story, and Sorkin did an excellent job of portraying Bloom’s dominant personality and eventual drug addiction. 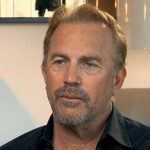 Kevin Costner played the role of a typical hard-nosed father who bred talented athletes. Although I was never a great athlete, I dreamed of being a superstar growing up, and I always envisioned the father of an Olympic athlete to act exactly as Costner did in this movie. In one scene, during a skiing practice session, a young Molly was tired and wanted to go home but her dad was defiant in convincing her that being tired is just an excuse for losers. 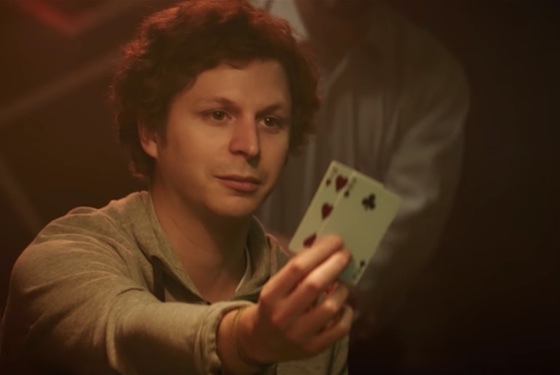 Michael Cera was another character who seemed perfectly cast for his role as “Player X,” the most skilled regular in Molly’s game. As happens in underground games, identities are often obscured for confidentiality. But Cera’s Player X was sort of the glue that kept the game going. He helped Bloom find new fish to bring to the hotel suite where the game occurred. In one scene, he expressed jealousy of the other players who were getting more attention from their favorite hostess, and Molly quickly learned that angering Player X was a bad idea. It was two years before her indictment when Bloom received a call from Player X: “You’re so f*cked,” is all he said before hanging up. It cost her the game and all the money she made, as Player X did to her what she did to her original boss by convincing others to play elsewhere. Without her A-list players, just like that, the high-stakes game that made the “Poker Princess” millions was gone. In my opinion, Sorkin did a masterful job telling Bloom’s story, but he might have told too much for a movie. While I enjoyed the back-and-forth beginning with her Olympic trials then shifting to her days of courtroom preparation with her lawyer (Idris Elba), a few scenes seemed a bit gratuitous at the expense of meaningful poker action. Sorkin tells the entire Molly Bloom story, from youth to adult, and at 2 hours and 20 minutes long, I would have rather seen more poker than learn about her desire to feel powerful over men, which not surprisingly traces back to some serious daddy issues. The player, who was holding the nuts, folded his hand out of fear. Overall, the movie was solid, but I definitely wanted more poker. Take “Rounders” for example. Every poker player remembers a couple hands from that movie, such as when Mikey hits nines full of aces and loses his entire bankroll to Teddy KGB holding aces full. “Molly’s Game” showed only one hand in detail, a horribly played hand by a degenerate gambler who was allegedly one of the best players in the game. After donking off his stack to a hedge fund manager who barely knew how to play, he goes on tilt to mentally collapse, losing session after session until he’s in the hole hundreds of thousands of dollars and broke. But most of “Molly’s Game” centered around Molly’s pending trial, strained family relationships, and developing drug habit. Maybe that’s why my girlfriend, who couldn’t give a rip about poker, loved the movie and wasn’t disappointed there weren’t more poker scenes. I’ll give “Molly’s Game” a 6 out of 10. If you’re expecting Rounders II, you’ll be disappointed. But if you enjoy dramas based on real-life stories, I’d recommend going to see it. It’s hard to live up to Rounders that movie was great. I will probably still check this one out. I really enjoyed this movie but I knew going into it that it was not a poker movie. Yes, it’s about poker but thats about it. Definitely would rewatch! I wait to be able to watch it on DVD. It was the first time I read about Molly Bloom. I very liked Rounders and I still hope to see Rounders 2. So, after this review I have no desire to watch “Molly’s Game”. Now for me is in priority “Rounders”. No player ever !!! folds the nuts (unless he overlooks the fact). The nuts can’t be beat only tied. 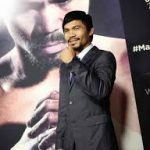 Another mistake; some one bet $200,000 next guy made it $300,000. He must make it $400,000 unless going all in. One must raise the amount of the bet or more, the rule, period. Let a poker industry person read the script. It’s torture and distracting to watch after a simple flub.